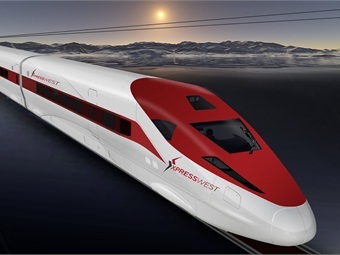 LAS VEGAS — XpressWest was unanimously selected as the state’s franchisee for constructing a high-speed rail system that connects Las Vegas with Southern California, reported the Las Vegas Sun. XpressWest officials said they could start construction as early as fall 2016. 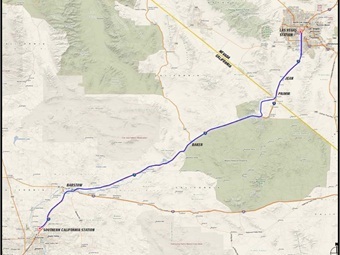 The project, which aims to link Las Vegas to Los Angeles, will mostly run adjacent to Interstate 15, offering roundtrip service for under $100, the report said. The initial phase of the XpressWest project, which will link Las Vegas to Victorville, Calif., will cost $8 billion, according to the Las Vegas Sun.